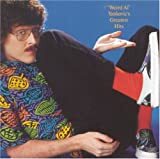 “Weird Al” Yankovic has released a new single on iTunes and the web called “Whatever You LIke”, which is a parody of T.I.’s song “Whatever You Like”. He turns T.I.’s version on its head and uses lyrics to comment on the state of today’s economy. Yankovic again works his magic on the lyrics for this piece, making light of the fact that we’re all scaling back on going out and going out to eat, among other things. He’s got a talent for taking pop culture and turning it, so it’s great that he no longer has to wait to release his new material to the public. With the Internet, he can keep things fresh and topical and release them when they’re most appropriate, rather than waiting to put a whole album together. Initially “Whatever You Like” was available exclusively on iTunes, but it should be made available at all major online retailers very soon. T.I.’s original version of the song is still on the Billboard Hot 100 at #1 and Al is releasing his own version while it’s all fresh. Amazing how immediate it all is. Al’s last album, Straight Outta Lynwood, was hilarious and proved that he was still at the top of his game. Download “Whatever You Like” today! My wife brought home a single of this from a festival this weekend. Great song. Glad Al can strike while the iron’s hot. Pingback: Music Review: (Worcester Telegram & Gazette) : Rhapsody - Give Me Music! Previous Previous post: My Favorite Movies: Great Swordfights!